Chicagoans, the holidays are upon us! It's time to preheat the ovens, stock up on sugary sprinkles and break out the gelatin molds. 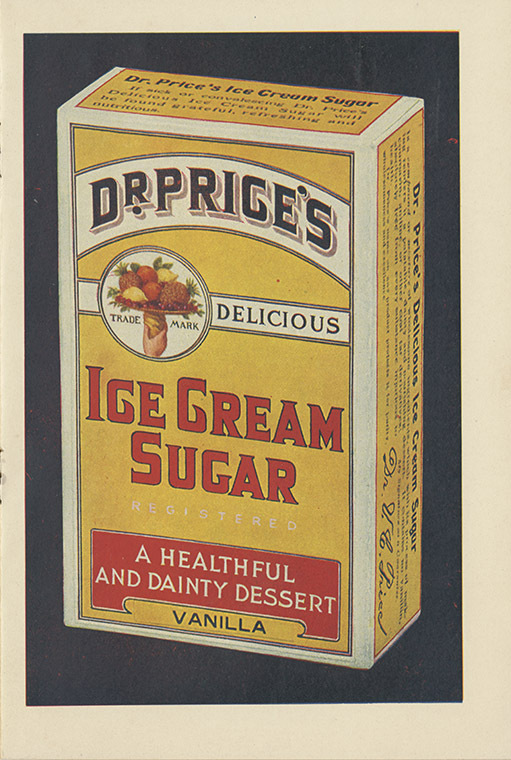 Let's investigate holiday treats from years past using materials in Special Collections. 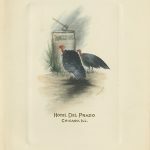 The recipe compilers of The Old Town Dawn Until Dawn Cookbook perhaps best sum up our collective experience in the introduction describing traditional recipes and preparations as "borrowed, begged, stolen, adapted and in a few instances re-created." 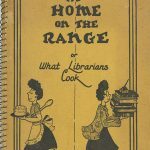 Chicago's community cookbooks showcase an abundance of sweet holiday indulgences that you can try out. 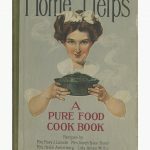 The 1979 cookbook from Fellowship Missionary Baptist Church includes Almi's Heavenly Pie. With heavy cream and strawberries, it's sure to put you in the good graces of your guests. And despite being the subject of endless jokes, the fruitcake makes multiple appearances. Over 2,000 years since its invention in Ancient Rome, the variations on fruitcake are equally vast. 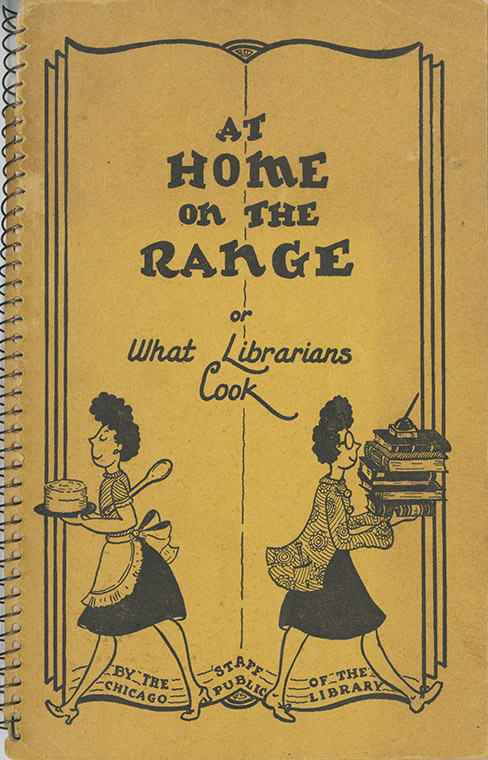 When the Chicago Public Library staff issued its own cookbook, At Home on the Range, in the 1940s, it referenced two recipes. Each one contains a page-long list of candied fruits and nuts that are opulently spiced, soaked in spirits and drizzled with icing. Maybe you need ideas for party favors? 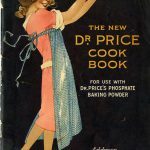 The recipe ideas in the P.F. 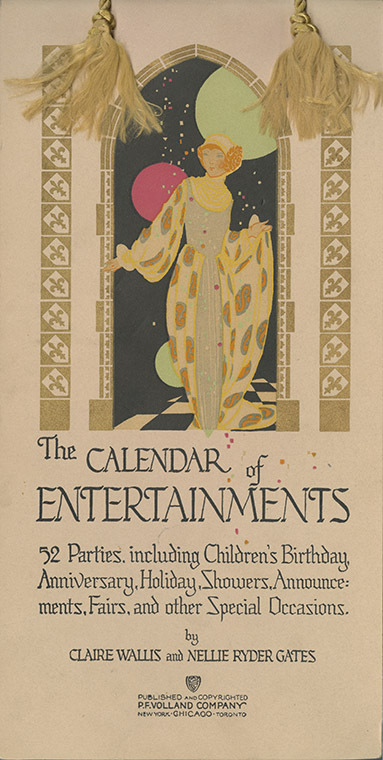 Volland Company's 1925 Calendar of Entertainments have matching party guides. 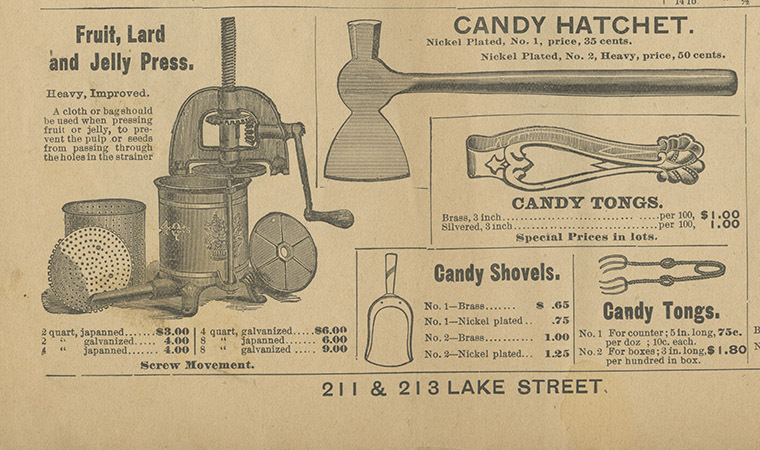 For the Santa Claus Party for the School Set, the authors suggest the prize "should be a popcorn Santa modeled from corn which has been dipped in pink sugar syrup." 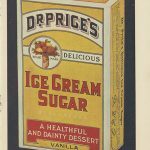 The search for healthier ingredients began as early as 1910 when a number of new products sought to replace lard (a product made from pig fat) as an ingredient. Chicago's N.K. 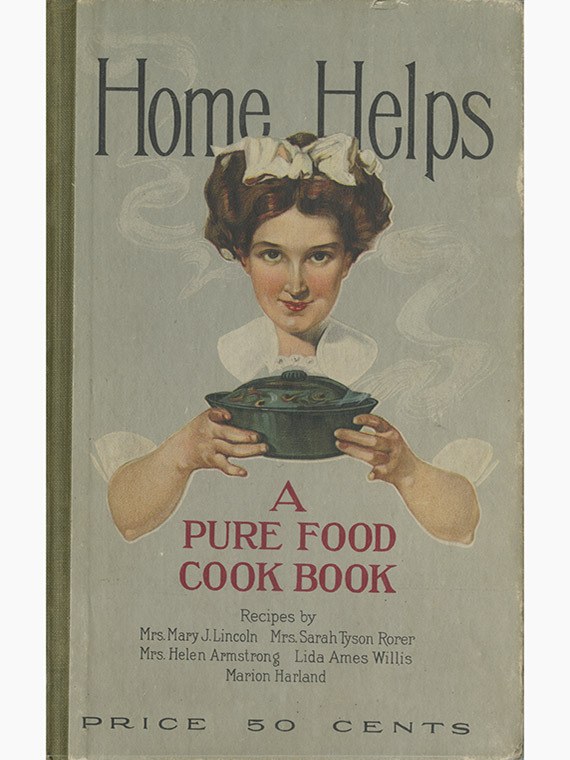 Fairbank Company produced the Home Helps booklet of popular recipes using their lard substitute made from cotton oil. 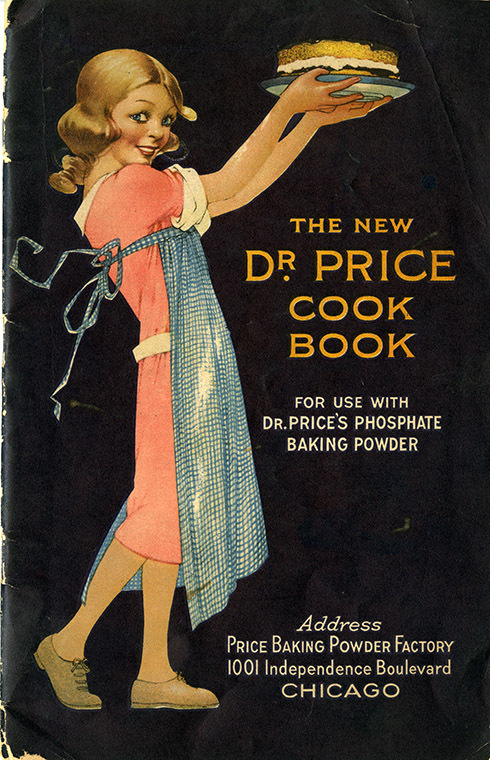 Home economist Mrs. Helen Armstrong described Cottolene as "wholesome." 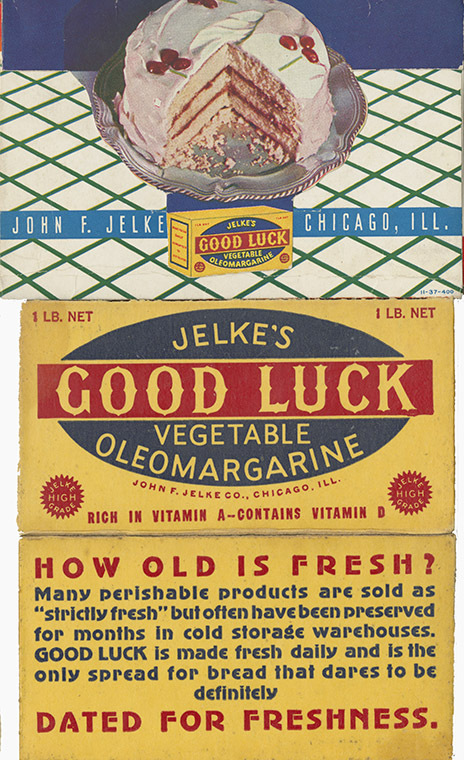 By 1936, a similar promotional strategy was underway for another new margarine, this one vegetable-based. 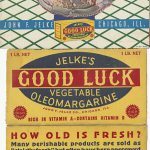 Its substitution into recipes promised such a successful coffee cake or cream filling that the product was named Jelke's GOOD LUCK Vegetable Oleomargarine. On the preparation front, we take for granted that ingredients can now be bought already shredded, chopped or sliced. 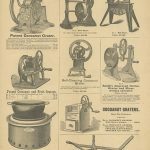 A few featured products in the M.E. 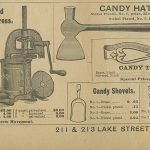 Page Confectionery Company's 1894 trade catalog caught my attention. 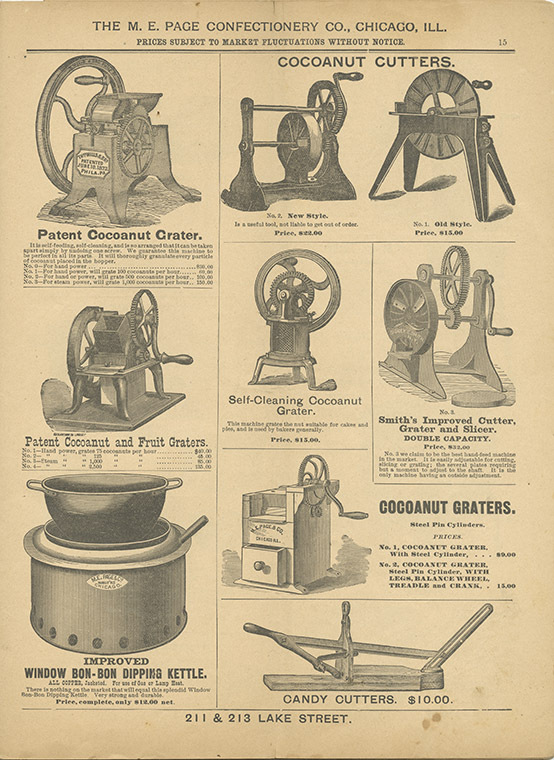 Few of us have a candy hatchet in our silverware drawers or a Hand-powered Cocoanut Grater on our counters. 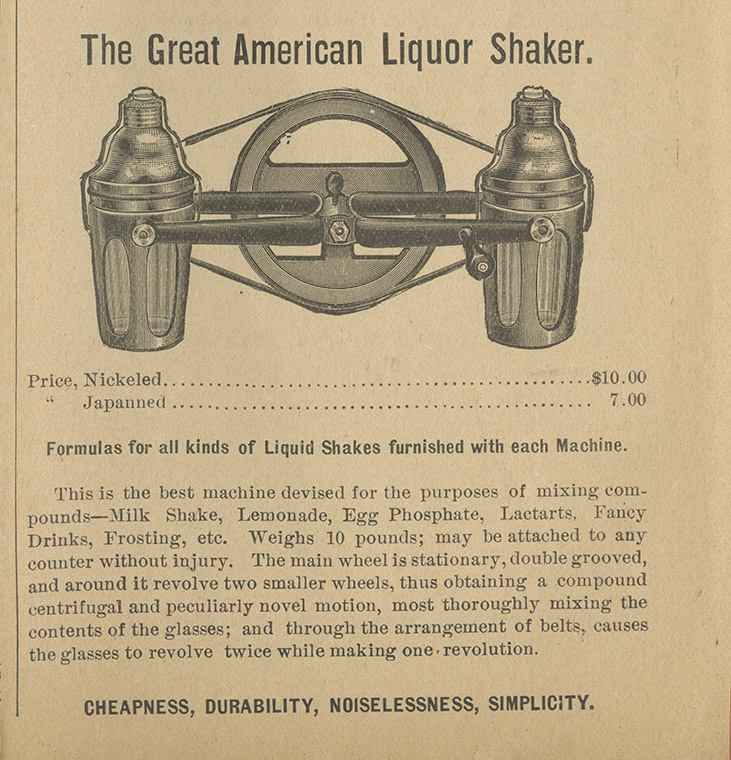 Likewise, the combined functions of the Fruit, Lard and Jelly Press or the Great American Liquor Shaker that could create a milk shake, a fancy drink or frosting are all easily managed by the less cumbersome blender. 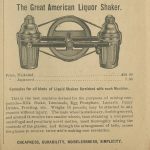 As today, hours bent over a hot appliance weren't always appealing. 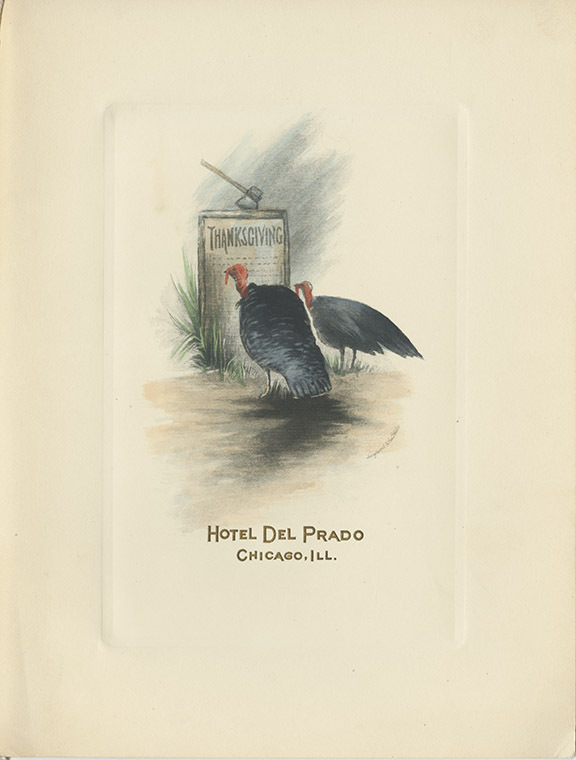 In 1910, the Hotel Del Prado, at 59th Street and Dorchester Avenue in Hyde Park, offered multi-course holiday dinners. 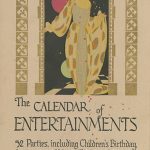 Its menu features both darkly humorous illustrations and 11 dessert options, which included pumpkin pie and a jolly English plum pudding with brandy sauce. 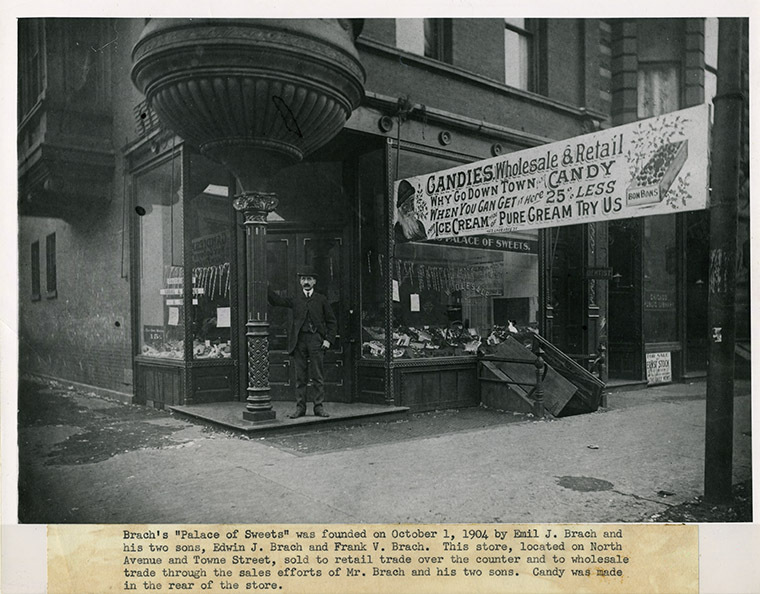 There were also specialty shops, such as noted candy-maker Emil J. Brach's Palace of Sweets, that served bonbons, sundaes and more. 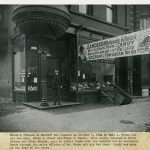 Open year-round, his store was on the corner of North Avenue and Towne Street with a dentist conveniently next door. We'd like to know, what's on your holiday menu?